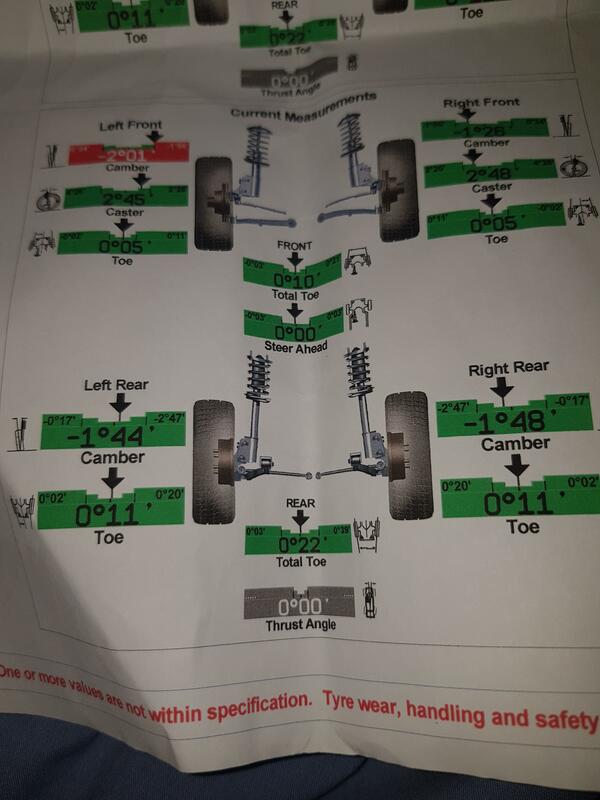 Front Camber should be -0.70 degrees, plus/minus 0.75 degrees. Front is adjustable. You wont be able to do it yourself. The garage should've adjusted it while it was on the ramp with the geometry equipment in place. Though with it being so far out, it's possible that something may be bent on that side as well, do you make a habit of hitting kerbs? Camber isn't adjustable . You have bent something.